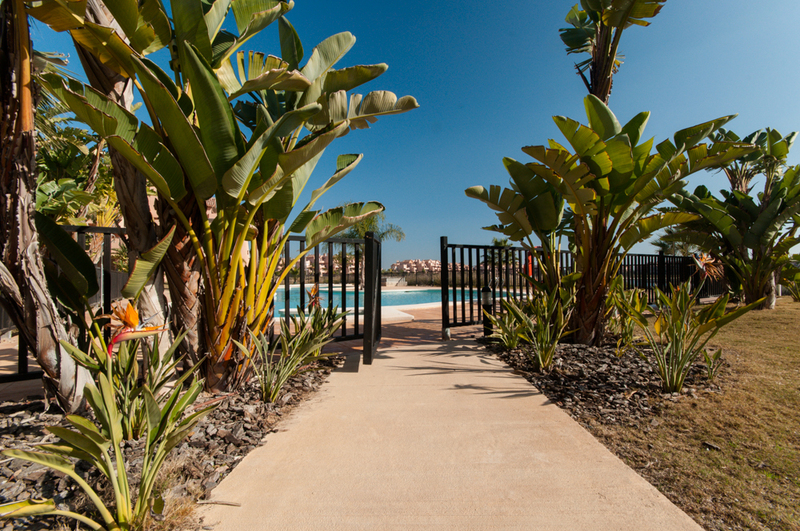 Exclusively Murcia/Mar Menor are delighted to offer this rare, sunny 1 bedroom, 2nd floor apartment with the most spectacular views (13th,14th and 15th holes) at the Mar Menor Golf Resort. 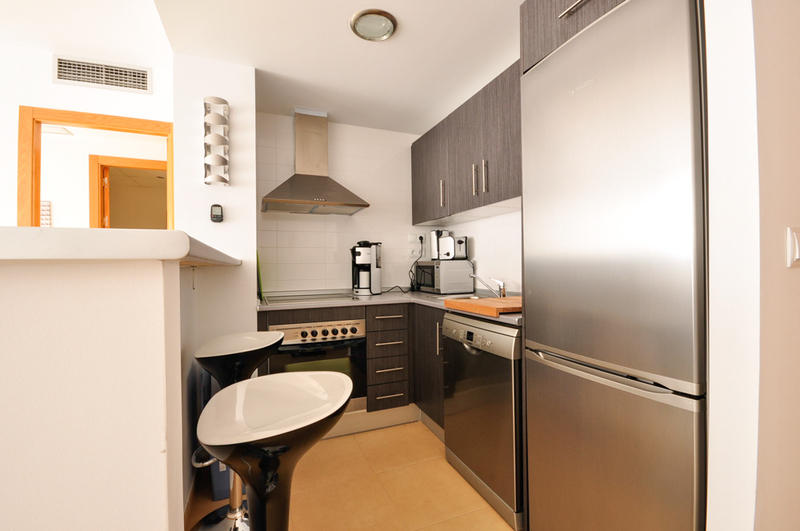 Apartment MM2011 is furnished to a high standard and is very well equipped throughout. 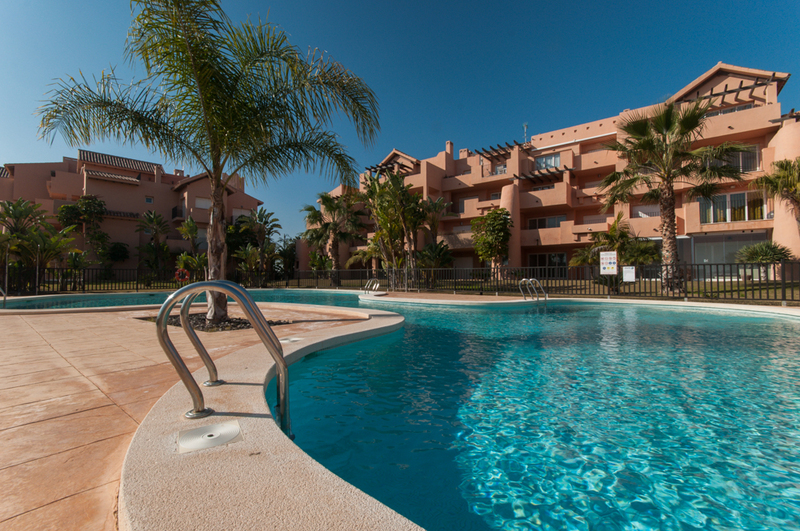 With air conditioning, Wi-Fi internet and UK & European TV, the apartment is perfect for holidays and golf breaks throughout the year. 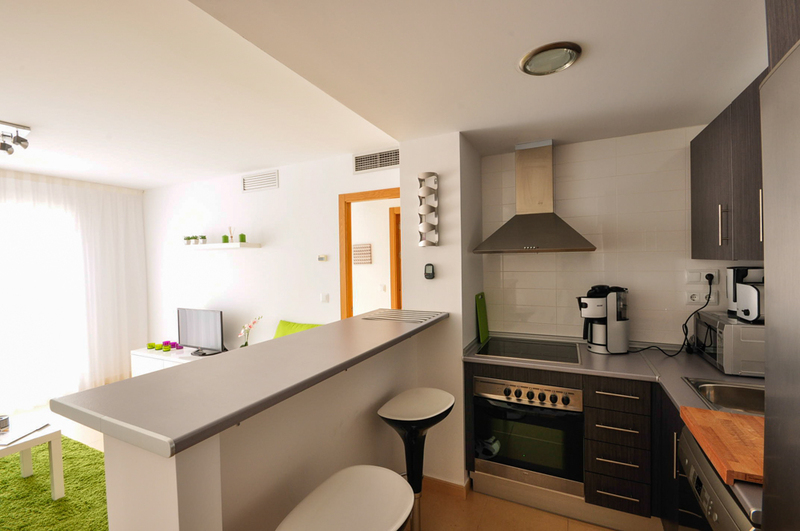 The apartment is spacious, ideal for couples or a family with a young child (who would be happy to sleep on the sofa bed). The accommodation includes a modern fully equipped kitchen, a stylish bedroom with king size bed, a spacious lounge with a corner sofa (sofa bed) and a family bathroom. 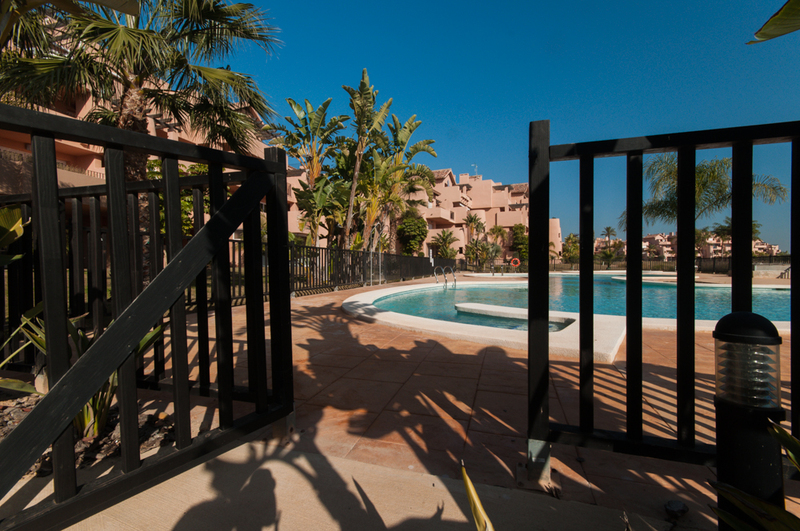 Outside (off the lounge and master bedroom) there is a large terrace with sun loungers and a dining table, perfect for making the most of the climate and the fantastic golf views! The terrace is the ideal spot for dining al-fresco and relaxing throughout the year. 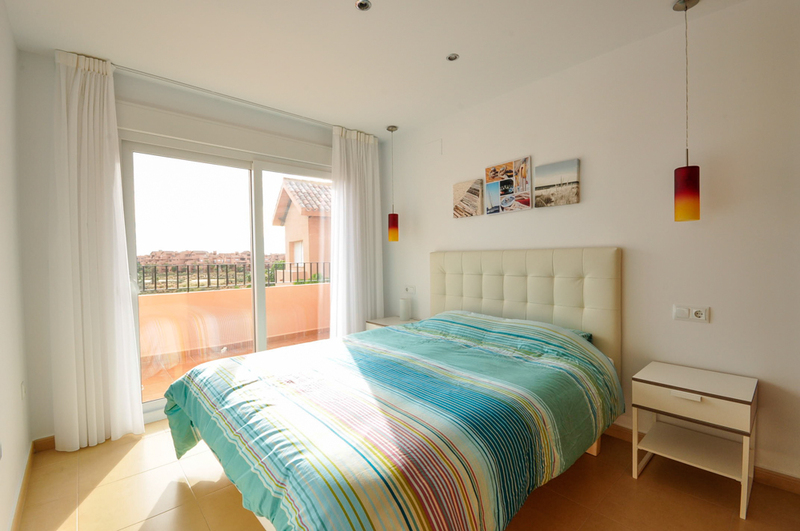 To sum up, apartment MM2011 boasts lovely views and is extremely well located. 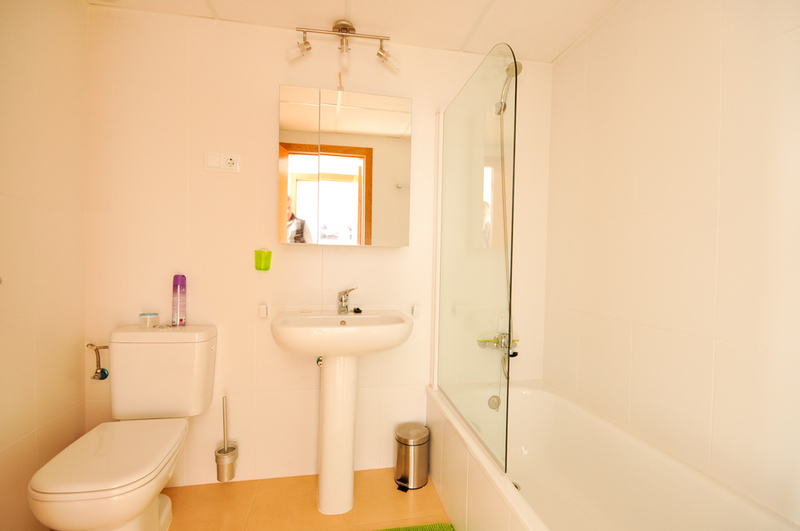 You will also find that it is furnished and equipped to a high standard. 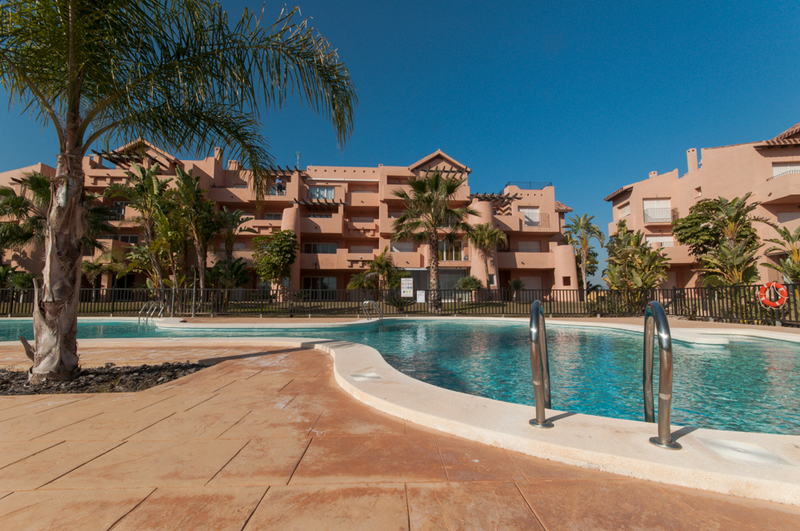 The apartment is locacted on Calle Espliego block 12 and enjoys incredible views over the feature lake in between the 13th, 14th and 15th holes. The hotel and resort centre are within a 10 minute walk.